At TIGI we champion the voice of the hairdresser, showcasing the craft – the CREATIVE INTELLIGENCE behind hairdressing. 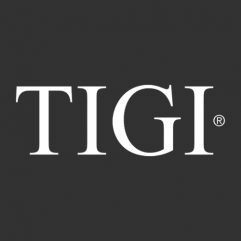 The TIGI Creative Team constantly update their work, redefining standards of excellence in hairdressing creativity and technical skill, driving hairdressing into an art form. TIGI is about progression: keeping the art of hairdressing dynamic and alive. It’s about recognition – of the craft, artistry and dedication that we give hairdressing. It’s about celebrating the journey not the destination. Our philosophy: CREATIVE INTELLIGENCE. Our global focus is evident in everything we do, always striving to provide the highest quality professional products to our customers. “What’s new today, is old tomorrow” and we keep our brand as fresh and innovative as possible. That’s exactly what you would expect, isn’t it.